Gather round, boys and ghouls. With the night of the living dead less than a week away, it’s time to get in the “spirit” of Halloween. 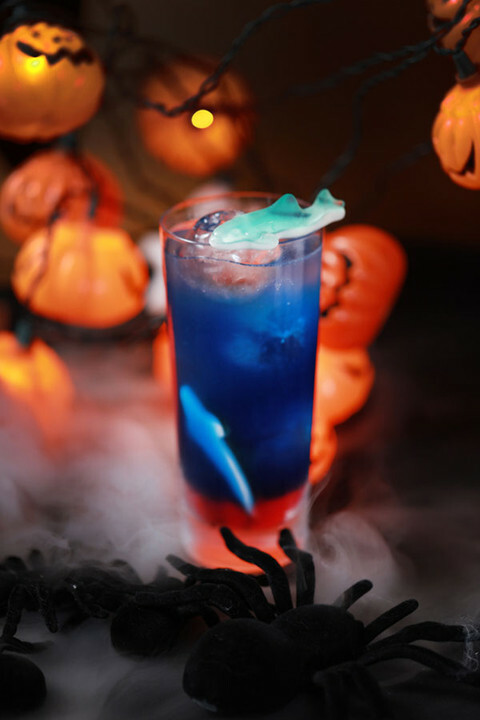 Leading the (werewolf) pack is Shangri-La Tainan, which has (Monster) Mash-ed together some spooktacular ingredients to brew up a positively defrightful celebration for Halloween. 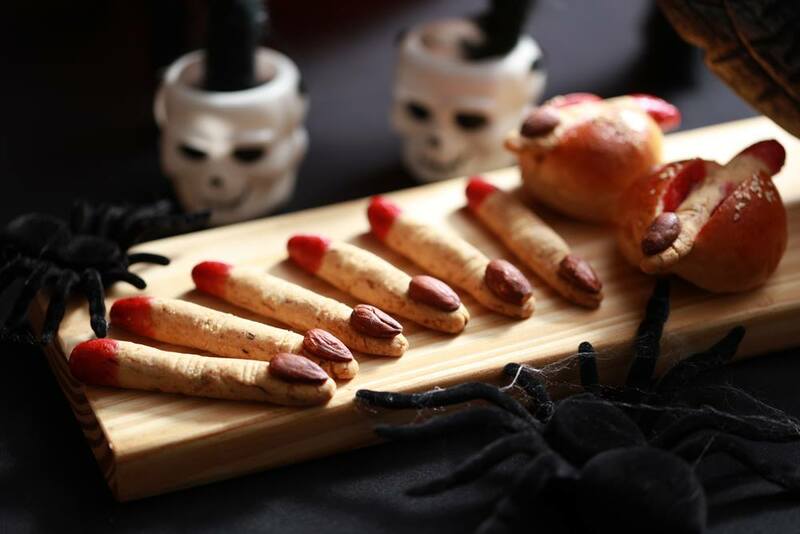 For the remainder of October, the hotel’s dining options will be offering some fangtastic Halloween (trick or) treats that you’ll vant to be goblin’ up. 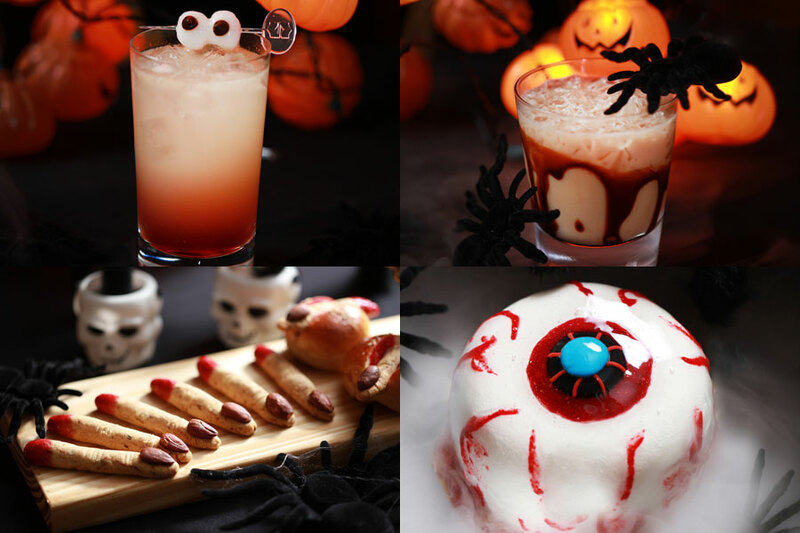 These included some wicked-looking desserts including an eyeball cake, ‘horror finger’ cookies and customized cupcakes. The hotel’s mezzanine bar, meanwhile, will serve a series of six cocktails named after fantasy and horror films such as The Blair Witch Project, Bedazzled, Red Riding Hood and How The Grinch Stole Christmas. Feast your eyeballs on these boo’ties. 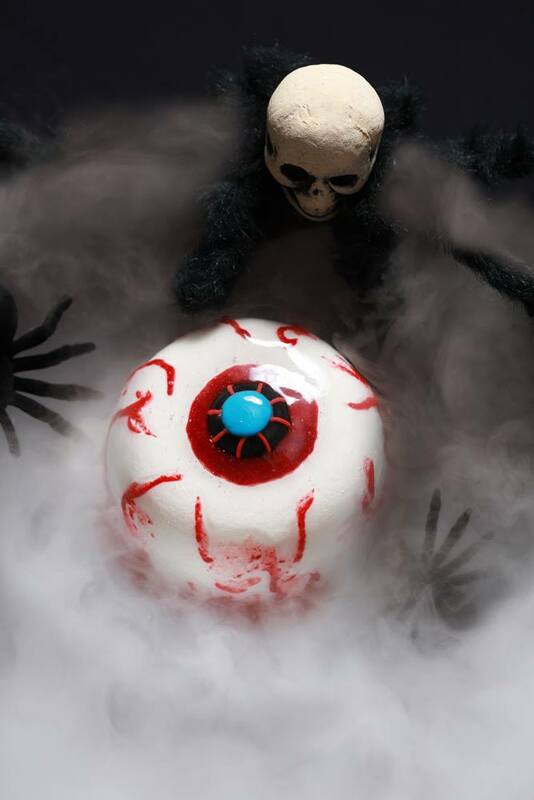 With a Mandarin name referring to the horror movie Oculus, the Creepy Eyeball Cake is made of a chocolate chiffon base filled with a cherry sauce and pudding center and decorated with fondant icing, cream and raspberry sauce. Smooth and moist — just as an eyeball should be. 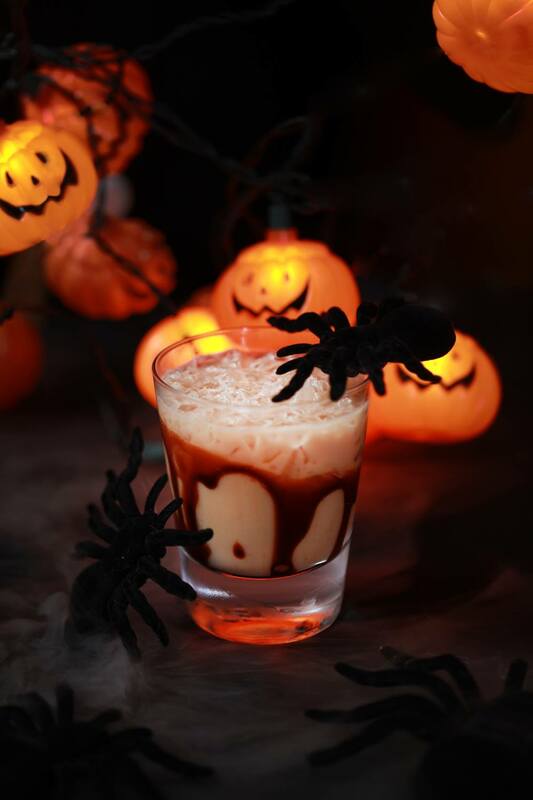 Made with a perfect combination of vodka, coffee liqueur, coconut liqueur and milk and drizzled with dark chocolate sauce, the Bedazzled cocktail is not only boo-tiful to behold, but devilishly good — strong, and with a hint of coffee. Unleash your inner Hannibal and devour these broken digits. Or are they biscuits? We almost couldn’t tell. What danger lurks within this mysterious blue drink? We know not, as the recipe has been kept secret. Don’t be deceived by those googly eyes. This drink is mean – like the Grinch – and packs a punch. 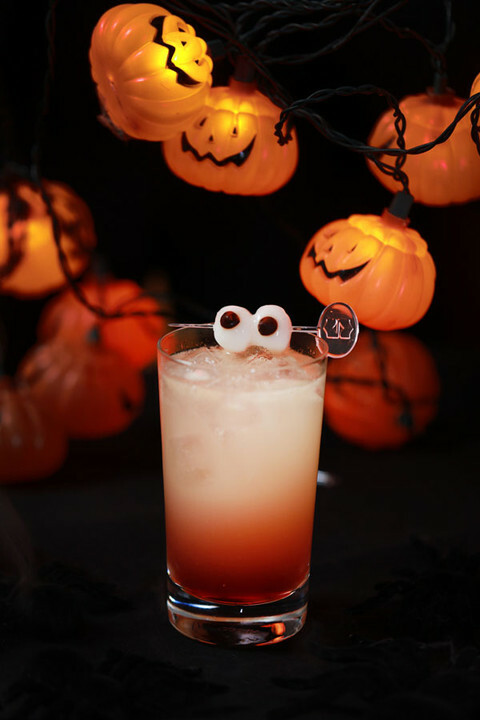 Finally, on October 31, enjoy a Halloween-themed buffet or dress up in your scariest outfit and boo-gie the night away at the Shangri-La Tainan’s Halloween party from 8 to 10:30pm with a live DJ and festivities. One’s thing for sure – it’s going to be a terror-ific night. And it turns out to be too much of a Thriller for you, you know who to call.